If you have a business or a website, people need to be able to find you. Search engine optimisation is no longer just a nice option. It is an important part of marketing for any successful brand. This means more than simply optimising keywords. Good SEO is about tailoring your online presence to reach out to potential customers wherever they are. As an established company with over a decade of experience, we can provide you with all the Manchester SEO services your business needs. We will work with you to improve the quality and quantity of traffic to your site. Being a local company we can help you attract visitors from Greater Manchester, across the UK, or internationally. If you are looking for an SEO company in Manchester you have come to the right place. We perform a complete SEO health check of your website and analyse its performance in terms of targeting keywords and attracting visitors. We will also flag any issues which might prevent the site from ranking well in search engines. A full report will be provided giving a detailed assessment of your site and a list of recommendations. By analysing which keywords are performing well for your competitors, we can develop a targeted strategy within your industry. 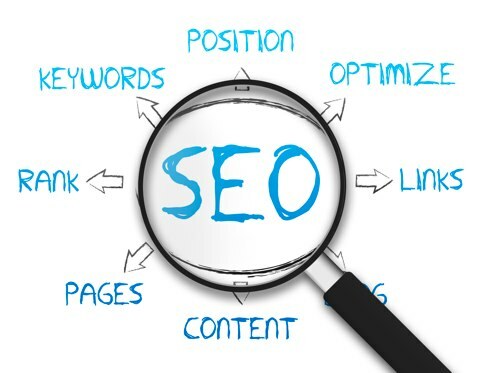 We will help you to rank for search terms that bring relevant, high-quality traffic to your business. Your website will be crawled by search engines and read by your visitors, so it is important that it is optimised for both. On-page SEO is the process whereby we fine-tune your content and the source code behind it to rank higher and attract more visitors. With more and more people using smartphones to view websites, mobile friendliness has become a major ranking factor for Google and other search engines. If your site is not fully mobile friendly, you are not helping your customers either. Mobile visitors are often looking for businesses nearby, which is where a local search engine optimisation agency Manchester can really help. We will make sure that your mobile site is accessible for both your mobile visitors and for Google. Good inbound links from quality websites have always been an important ranking signal for search engines. We can help you to build your link profile through outreach content, press releases, placements in UK directories and infographics. As well as the traffic the links themselves can bring, this will help you to rank better for your keywords.